"You will do it bird by bird." I love this. I find it calming, loving, and perhaps most importantly, I find it non-judgmental. The lesson to not procrastinate is already being processed by Annie because she is experiencing the repercussions of not having made the best choice about managing her time. Kudos to Dad Lamott for resisting the parental temptation to rub it in her face. Instead he chooses to advise her to take small steps, one at a time, until she reaches her destination. Quitting is not an option; managing the circumstance as best as she can is the prime directive. I am not a procrastinator by nature. I am not certain how I learned this approach to life, but for me being on time for a meeting is arriving 15 minutes early; and meeting a deadline is having something finished a week before the due date. I don't think this is a trait that is to be admired or makes me any more functional or superior to those who are more last minute types. Like Charlie Brown who sings emphatically about his book report in You're a Good Man Charlie Brown. I think it is a coping strategy that I adopted for managing my anxiety and my need to please other people. Arriving early for an appointment means no disappointment by keeping them waiting. Handing work in early removes any chance that the recipient will think that I am not reliable. So my affinity for the bird by bird philosophy is not associated with learning about time management, it is more akin to learning the lesson of how to assess and honor my own self-worth. In other words it is about choosing how many birds to write about. You see, if I had been told to write about the birds of North America I would have felt compelled to write about EVERY bird in North America. I would have worried about hurting a bird's feelings if I left it out of the paper or omitting the one most important bird that the teacher really wanted me to include. My anxiety about not being perfect and unable to please everyone would have compelled me to over compensate. True, I may have gotten a good grade on the paper, but in reality it was no less stressful than Annie's having waited until the last minute. GET TO THE POINT DR. DEAH! 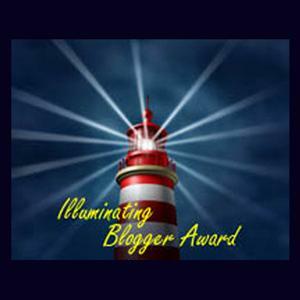 I am blogging about birds and Anne Lamott for two reasons. 1. If you read the final Issue of Dr. Deah's Schmooze-Letter that came out on December 1, 2014, this theme may sound familiar. In the Therapeutic Tidbit of the month, I discussed the tendency some of us have, especially during the holiday season, to over-commit and conflate how much we are doing (e.g. saying YES TO EVERYTHING) with perfectionism and self-worth. Over the years I have learned that it is a time that calls for finding a balance of setting realistic standards of what is enough; and practicing self-care first in order to be there for others. Getting through the holidays becomes so much more manageable when we take things bird by bird and, if necessary, leave some birds off the list completely. 2. My second reason is to introduce you to the last "bird" in my blog series that I started in the summer of 2014. 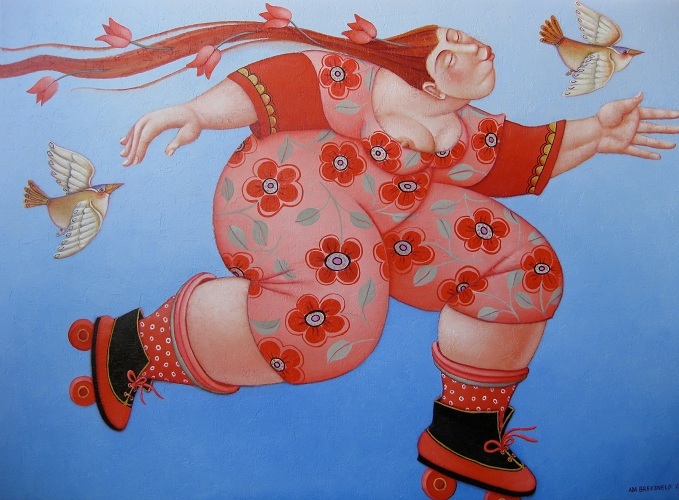 I had the good fortune of traveling to Holland and the UK last July and was inspired by the work of Fat/Size Activists in Europe (Gisela Enders, Fatima Parker, and Angela Meadows) and Dutch Artists who paint positive images of dikke dames. Today I would like to introduce you to Ada Breedveld. I asked Ada the same questions I asked Julia Woning, Susan Ruiter, and Lia Schapendonk, and here is what she had to say. (Thank you to Chiel Weverling for helping me translate Ms Breedveld's answers from Dutch to English). Dr. Deah: Thank you so much for taking the time and participating in this interview. When did you realize that art was important to you as a means of expression. Was there a specific aha moment; or was it a gradual process? Ada Breedveld: All my life I’ve been drawing and painting, but about the age of 20 I read something about surrealism. I didn’t know the word so I went looking for the meaning and found that it gave me the room...mindspace...to paint whatever i could think of, even if it wasn’t accurate. It opened up a whole new world. In the beginning I expressed a lot of feelings through my art. Feelings that began as a shapeless goo inside me, but then took form and developed their shape. DD: The art work you do is so beautiful, who were some artists who influenced your style? AB: Artists that I admired at that time were Dali, Magritte, Delvaux, Max Ernst, etc. Also the Symbolists: Toorop, Khnopff, Klimt, Schielle. DD: The shapes and sizes of the women you paint are big and beautiful and feel very positive. 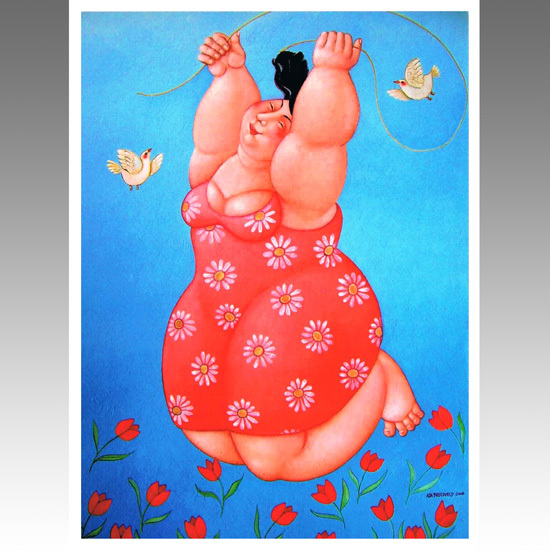 Has the subject of body acceptance or size acceptance been a part of your work intentionally? Why do you choose to do paintings of big curvy women? Do you have any opinions about how the media depicts women's bodies? AB: The women I paint stand for the female properties and values. Often woman are judged on their appearance and have to meet the ideal image: Young, slim, and too strong (muscular). Even if these are stereotypes, people are expected to meet them, also by the women themselves. The girl. She, the woman, fulfills a very important role in every society that may not be visible but is very important. That is why and how I want to show her, paint her and make her visible. She is the utopia, the mother and the Madonna but also the fertile and the sensual being that comes from and generates her warmth and compassion. 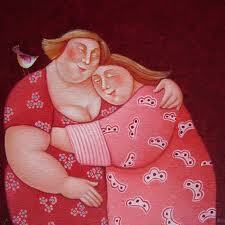 Her roundness and curves are synonyms for motherliness, warmth, security. She naturally knows, like no other, how to draw from the source of life. So my paintings are meant to communicate a plea to be who you are regardless of your appearance, color etc. Her closed eyes are a reference to her inner self, being complete! I show her on the canvas, big and present so you can’t ignore her, and so you can be aware of her values, and those same values in and of yourself. Filling the canvas and proud! DD: (Wow, THAT is a powerful response!) Do you think that Holland has a more accepting attitude towards diversity of body size for women than The United States? AB: I really have no idea what the United States’ opinion is on this but I think that often the opinions are more extreme there. DD: Where can people find out more about your work? I hope you have enjoyed learning about some of the inspiring work that is being done around the world in the areas of body image, size/fat acceptance, and redefining standards of beauty for women. For those of you who are in the shopping mode, click on the links I've provided on each of the artist's names. They all have exquisite selections from paintings, to calendars and postcards if you are looking for some holiday gifts. 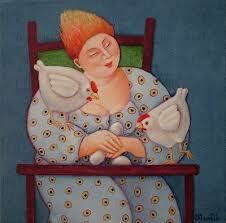 In fact Nomi Dekel, owner of VoluptuArt and ASDAH member has several of Ada Breedveld's works on her website. (By the way, I do not receive any financial compensation for spreading the word about these artists or for any sales made via my blog posts.) And please feel free to share other artists in the comment section! I would love to learn more about them, bird by bird. PPSS: The Calmanac turns one year old on December 13th! Thanks to all of you who have been a part of helping me spread the message of cultivating a positive body image bird by bird. I look forward to continuing the trend in 2015!! Remember, unlike a traditional almanac, The Calmanac is not tied in to any specific calendar year. Thank you so much being such a faithful reader and consistent commenter! It means so much to me!